It's a lovely day, and you are wandering along the streets of Paris. You peek into boutique windows and meander past sidewalk cafés. Then, all of a sudden, you feel it. You step, and your foot feels the funny squish. It slides a little. Your breath catches. Merde! (Literally.) You just stepped into one of the less-than-magical aspects of visiting France: doggy doo. Of course, there are wonderful things about France: People-watching at a cafe, glorious cathedrals, delicious food, and historical attractions galore. France is quite incredible indeed. But with the good always comes the bad. Now there are laws in France, as elsewhere about cleaning up after your dog, but apparently, the French are way down the list. Perhaps it's a fashion thing; after all, your Jimmy Choos are for teetering in, not leaning down (always dodgy with such high heels) to pavement level. Don't let this list of bad stuff put you off from visiting. After all, it's all really just a French thing. But you should also be prepared for the bad, the ugly, and the smelly before your visit, especially if you've never been to France. Here are all the gory and gruesome details about France's bad side. They can strike anywhere. On the sidewalk; on the street. The French love their dogs, and it's fun to see them walking around, sitting in cafés, or relaxing in shops. But, they have to "go" somewhere. You just never know when you'll hit a landmine. It is best in France to keep your peripheral vision on the ground below you if you want to avoid puppy poop. Using the restroom in France can be an adventure, a challenge or even emotionally scarring. Although they aren't as bad as the horror stories you may have heard, they still have issues. For one thing, unless you are sitting in a café, they will probably cost you some change. For another, they are not always clean and can sometimes be downright frightening. There are also the notorious public restroom pods. The concept is a good one: you can usually find one of these all over the place. You have to have precise change; they usually cost €1 to €1.50 to use. They are actually cleaner than they seem, due to a massive wash down after each use. It's a bit jarring to have the door close on you when you step inside. And, of course, not all of them work. If you judge a French village by the view from the train, you will probably have a pretty low opinion. That's because these areas seem to be a major target of taggers, and often buildings are covered with graffiti. It's a shame, really, when you see graffiti on a historic building or marring the landscape. This is one bad side many first-time visitors are surprised by. Graffiti is quite prolific in France. Beware of the smell of body odor. It can almost be enough to make your eyes water. Fortunately, this situation seems to have improved over the years. After all, the French have some of the best soap in the world; everyone loves a good bar of that famous Marseille soap made with olive oil. The other scent that is commonplace is that of urine. Maybe it's the difficulty and expense of using toilets, but you can catch a whiff of urine in many public places. It seems to be worst in certain spots (rail station corridors, alleys, stairways, and so on). The French have a bit of a rebellious mentality when it comes to driving. They often violate traffic laws, and usually flagrantly. You don't even have to be driving in France for this to be an issue. Watch carefully for rogue cars when crossing streets as well. The most annoying aspect is the scooter in France, whose drivers usually take advantage of their ability to go anywhere. You may have to dodge them on sidewalks, they often head the wrong way down streets and, besides all that, they are noisy. And they are everywhere. And they park wherever they want. Speaking of which, the French will park anywhere they find a hole that will (or might) fit, even if it means the sidewalk, double parking, blocking traffic, blocking the handicapped ramps on the sidewalks, tapping the bumpers of a few cars to park, and so on. Everyone knows the French love their cigarettes. This means that it will be hard to avoid smoke while visiting France. This is another situation that has improved quite dramatically in a very short period of time. It used to be that there was no such thing as a non-smoking area of France. Now almost all public places are smoke-free: Airports, railway stations, trains, shopping malls, restaurants, and cafés. It can be a bit of a challenge getting into the rhythm of the French schedule, in which shops often close for long lunches, and restaurants usually close between meals. This may not be the most flattering of descriptions of France, but these cons are far outweighed by the pros. This article is designed to prepare you for what to expect. But, like the French, just roll with it. You can't enjoy the joie de vivre if you obsess over the negative. 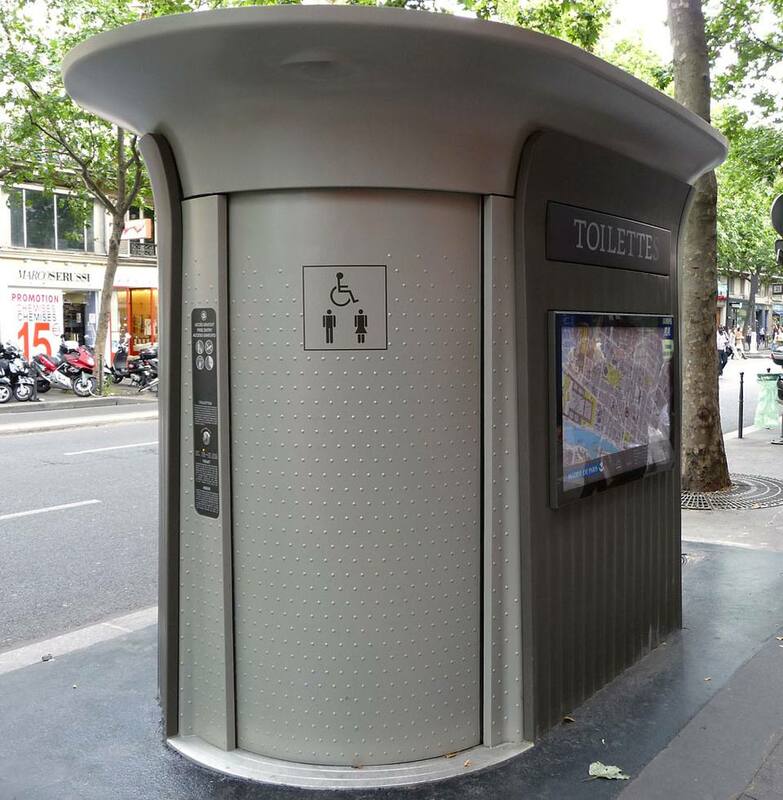 How to use the toilets in France; you'll need this information! Getting to France by Ferry From the U.K.
Are You Ready to Move to France?